A straight smile can make a significant difference in your personal and professional life. With crooked or oddly spaced teeth, bacteria and food have more places to hide, leading to an increased risk of decay and gum disease. But at Advanced Dental Care, Dr. Jorgenson offers a variety of orthodontic services to help patients create straighter, healthier smiles in much less time compared to traditional metal braces. To get started on your journey to perfectly straight teeth, contact us today. Why Choose Advanced Dental Care for Orthodontics/Braces? This popular orthodontic system doesn’t use metal brackets or wires the way traditional braces do. Instead, it uses a series of clear aligner trays to move teeth into their ideal position. The trays are removable, so you can still eat what you like as you go through treatment. Orthodontic care with Invisalign is more convenient and discreet than care with traditional braces. Propel uses your body’s own natural healing ability in order to dramatically speed up your orthodontic treatment. Every few weeks, you’ll come to Advanced Dental Care where Dr. Jorgenson will use a small, pen-sized tool to create small perforations in the bone surrounding your teeth (after you’ve been numbed, of course!). This will enable the bone to respond more quickly to the force applied by the treatment, helping your teeth reach their final position months ahead of schedule. AcceleDent is easy to use, completely painless, and can easily shave months off of your orthodontic treatment. 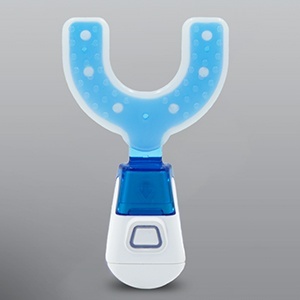 All a patient has to do is place their teeth into a soft mouth tray that is attached to a handle that sends thousands of tiny vibrations directly into a patient’s mouth. This stimulates bone remodeling and helps the teeth move much faster. Patients only need to use AcceleDent for 20 minutes a day to help the teeth move up to 50% faster. If you struggle with the symptoms of TMJ dysfunction, a special orthodontic appliance will help you correct the alignment issue causing your symptoms. During a consultation, Dr. Jorgenson will assess your situation and begin working with you on a plan to restore your good health and well-being. If you’re looking for gentle and compassionate care for your entire family, call our Dentist office in Costa Mesa to reserve an appointment with Dr. Jorgenson. We are happy to serve patients from Irvine, Newport Beach, Huntington Beach, and beyond.